Likely American voters are vastly more interested in putting new tariffs on foreign countries than implementing new free trade deals. A new poll by Public Opinion Strategies reveals likely voters’ lack of excitement for the free trade apparatus of Washington, D.C. that has prevailed for decades. Instead, likely voters find implementing new trade restrictions more important to securing a booming U.S. economy that benefits American workers. When asked to rank a number of policies that would be considered “most important” for Congress and President Trump, likely voters say slapping tariffs or other trade restrictions on foreign countries who violate trade agreements is much more important to them than the U.S. entering new free trade deals. A majority of nearly 60 percent of likely voters say it is important for Trump and Congress to “place trade restrictions on countries that violate trade agreements” to create more American jobs. Meanwhile, only 38 percent of likely voters said entering new free trade deals is the most important means to creating U.S. jobs. About 63 percent say it is very important for Trump and Congress to mandate that “all taxpayer-funded infrastructure projects use American made goods whenever possible,” in order to add to the number of U.S. jobs in the economy. 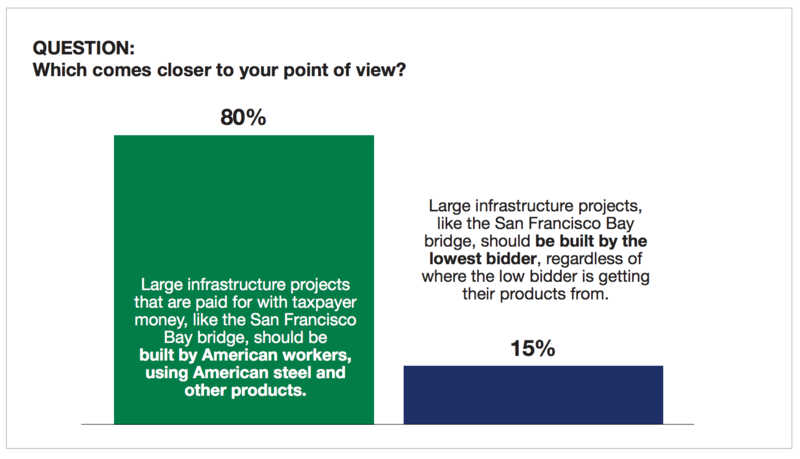 Likewise, 80 percent of likely voters say taxpayer-funded infrastructure projects should be built by American workers and American-made products, rather than by the lowest bidder. 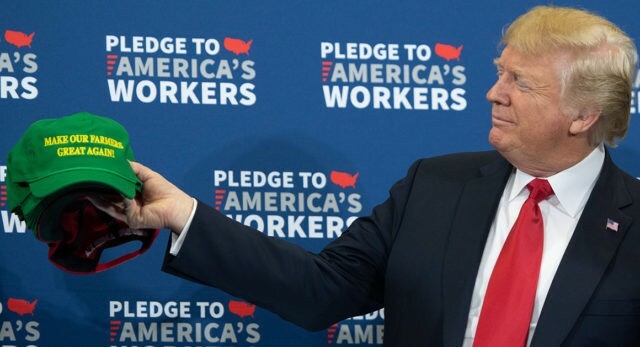 The poll comes as economic nationalism has swept across the American electorate, with a similar poll revealing last month that 6-in-10 midterm voters support Trump’s tariffs on foreign imports, designed to protect American jobs and industry while forcing multinational corporations to bring manufacturing back to the U.S.
As Breitbart News reported, there have been about 11,100 U.S. jobs created due to Trump’s protective tariffs. On the other hand, there have been about 514 job losses directly tied to the tariffs. There are 20 times as many American jobs that have been created in the last six months thanks to Trump’s tariffs on imported foreign goods than jobs that have been lost.